Candied Orange Peels. | Eat More Plants. Inspired by my fellow instagram/ blogger friend Kara’s recipe, the slow club, I decided to finally make her candied orange peel recipe that I’ve had bookmarked for weeks. Procrastination at its finest. Undoubtedly laborious but you get a neat result in the end. Make sure you use organic oranges. No need to be eating pesticides if you can help it! Note that I did change the proportions for this recipe because I only needed three oranges for this mornings juice. If you want more, use Kara’s recipe! Peel the skin from your oranges with a vegetable peeler. Peel into strips as long as possible. Be sure not to have any pulp on your peels. Cover peels with two cups of water in a medium saucepan. Bring to a gentle boil and let them cook for 5 minutes. Repeat this boiling process two more times. After the last draining, let your peels sit in a strainer while you pour two cups of water and 1 cup of sugar into the saucepan. Bring back to a gentle boil and reduce heat to medium-low. Let simmer for 45 minutes to an hour, or until liquid is reduced to a syrup consistency and peels are translucent. At this point you can remove the peels gently with a slotted spoon or tongs, saving the syrup if you wish. The syrup is basically an orange infused simple syrup, which could be used for anything from cocktails to dessert toppings. Pour 1/2 cup of sugar into a shallow bowl or plate. Dredge a handful of peels at a time in the sugar until completely coated with sugar. 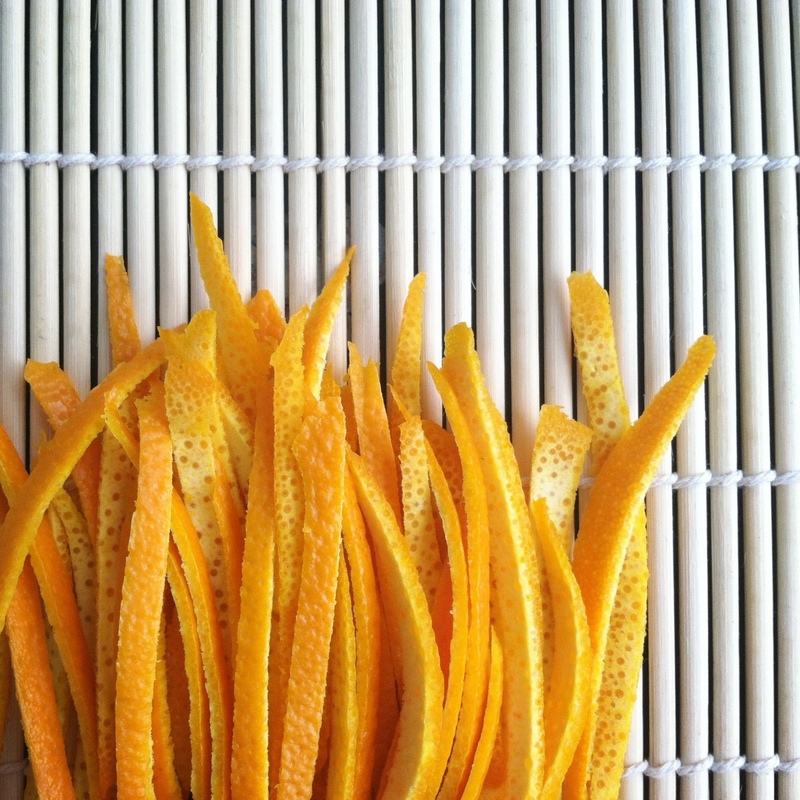 Leave the peels to air dry for at least 12 hours on a drying rack or wax paper/ plastic covered tray. Once dried they are ready to eat! Store in an air tight container. Melt chocolate in a double boiler or over lowest heat possible in a saucepan. Dip each dried orange peel halfway into the chocolate. 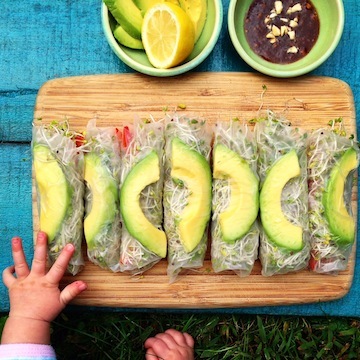 Let cool completely on wax paper or parchment paper. You can eat these as a treat or use them for baking, as in florentines or fruitcake…but who really makes fruitcake anyways? I’ll eat these on their own, happily.